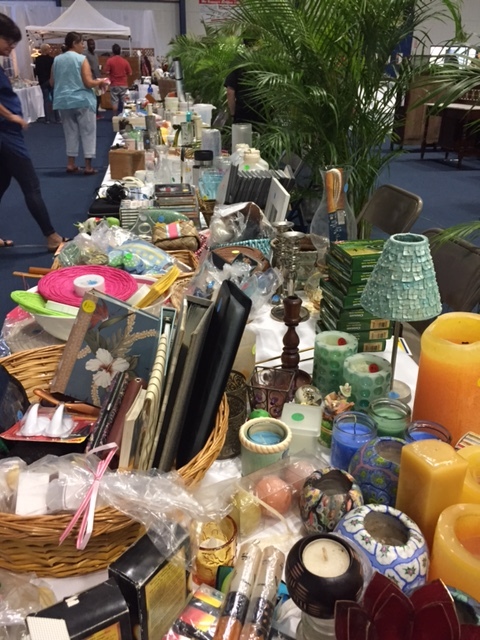 Those searching for something truly striking to decorate or re-decorate their home surely found just the right items at the Antiques, Art & Collectibles Auction, held Sunday, February 26, at the Antilles School’s MCM Center. This always anticipated event, now in its 18th year, draws collectors and community members alike plus serves as a fundraiser. Auction proceeds help to preserve the island’s historic 184-year-old Synagogue, which welcomes over 10,000 visitors each year. The Hebrew Congregation of St. Thomas was the first group to hold a silent auction on the island. Then, in planning for the synagogue’s 1995-1996 bicentennial celebrations, the idea was born to hold one large fundraiser annually. Thus, the antiques auction was born. Soon after this, committee members sought out the help and expertise of St. Thomas’ Philip Sturm, a long-time collector and author of West Indian Antique Furniture of the Lesser Antilles 1740-1940, to source pieces for the auction. West Indian furniture has become quite a rare commodity. Most pre-1850 pieces were either destroyed in the fires that razed large parts of Charlotte Amalie and estate houses or ruined in natural disasters such as hurricanes and earthquakes. However, each year Sturm still manages to secure some exquisite pieces. The auction weekend started on Friday night when moving vans and truckloads of volunteers took the furnishings gingerly from a warehouse downtown to the MCM Center. A champagne preview followed on Saturday from 3 to 5 p.m. On Sunday, the action got rolling at 10 a.m. when sale tables full of high-quality collectables opened and prospective bidders once again previewed live auction items as well as bid in the silent auction for items. At noon, the paddles were handed out, the auctioneer took the stage and the bidding began. 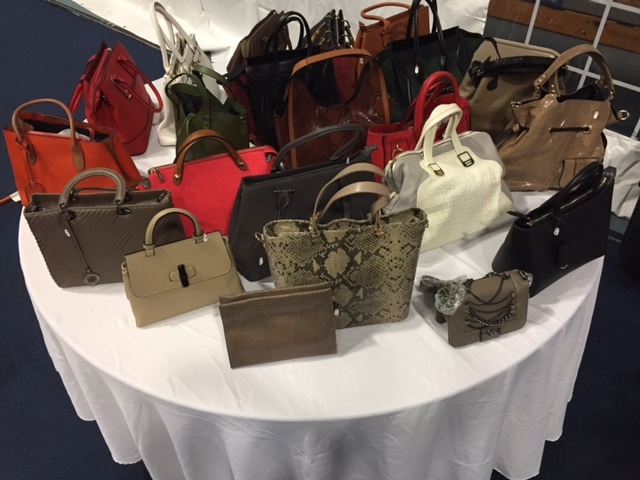 The number of items in the live auction was kept to about 150, so the event wrapped up by 3 to 3:30 p.m. Proxy bidding was available for those who couldn’t attend and a catalogue was published online. History is definitely the buzzword. The auction is the synagogue’s only fund-raiser of the year and its proceeds go towards maintaining this historic house of worship. This year, over $76,000 was raised. The synagogue, a National Historic Landmark, is the oldest in continuous use under the U.S. flag and the second oldest in the Western Hemisphere. Even before the present-day synagogue was built in Charlotte Amalie on Crystal Gade, the congregation was founded in 1796 when a small number of Jews arrived in the 17th and 18th centuries with the first European settlers. Today, the synagogue pays tribute to its Sephardic roots with its sand floors and mahogany pews that face one another. “The synagogue auction is truly an event that brings together people from all over the island. Hundreds of people attend the event, and nearly fifty volunteers (many of whom are not affiliated with the Synagogue) help to make sure that things run smoothly. The business community on St. Thomas has been extremely supportive donating countless gift certificates, merchandise and services. Individuals have been just as generous with their donations. In short, this event brings out the support, generosity, camaraderie and fun in everyone in our community,” says Minion.